iPhone 5 features 4.0 inch LED-backlit IPS TFT Capacitive Touchscreen 326PPI Retina display with 1136 x 640 pixel resolutions with Corning Gorilla Glass and oleophobic coating. 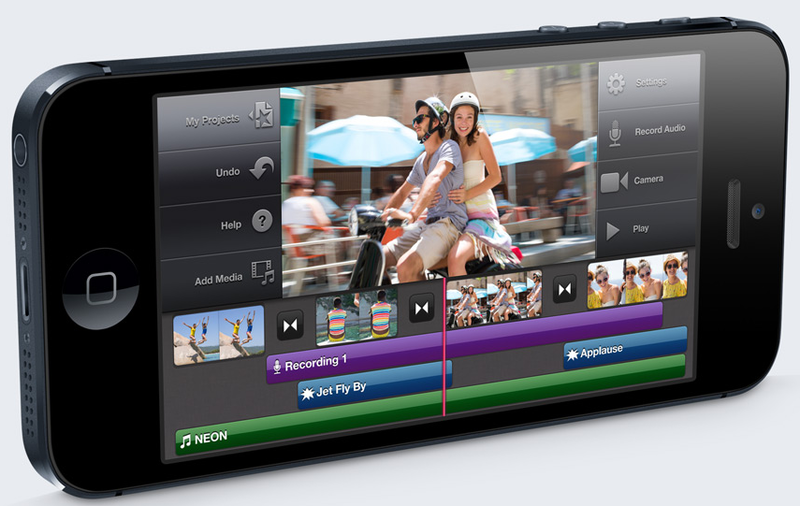 The Apple iPhone 5 sports 8MP rear camera with Autofocus and LED flash capable of Touch focus, geo-tagging, face detection, HDR. It has 1.2MP front-facing web camera capable of videocalling over Wi-Fi and 3G/4G. Connectivity options includes 4G, 3G, 2G, Wi-Fi 802.11 a/b/g/n, Wi-Fi Plus Cellular, Bluetooth v4.0 with A2DP, GPS with A-GPS support and GLONASS, NFC-TBD, USB v2.0, GPRS and EDGE. Sensor options includes Three-axis gyro, Accelerometer, Proximity sensor, Ambient light sensor,Backside illumination sensor. Color Options includes Black & Slate, White & Silver. The Standard Li-Ion Battery provides 8Hrs of 3G talk time, 8Hrs of 3G browsing, 8Hrs of LTE browsing, 10Hrs of Wi-Fi browsing, 10Hrs of video playback, 40Hrs of music playback, and 225Hrs of standby time. 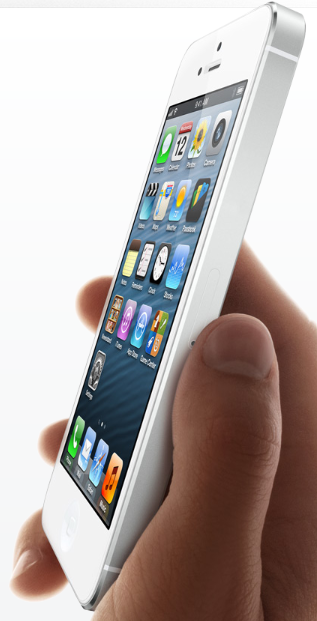 iPhone 5 has a dimension of 123.8 x 58.6 x 7.6mm and weighs 112gms. Other options includes Nano-SIM card compatible, Siri intelligent assistant, Apple EarPods than older Earphones, Lightning connector than the 30-pin older ones, entire casing is of aluminum and glass. 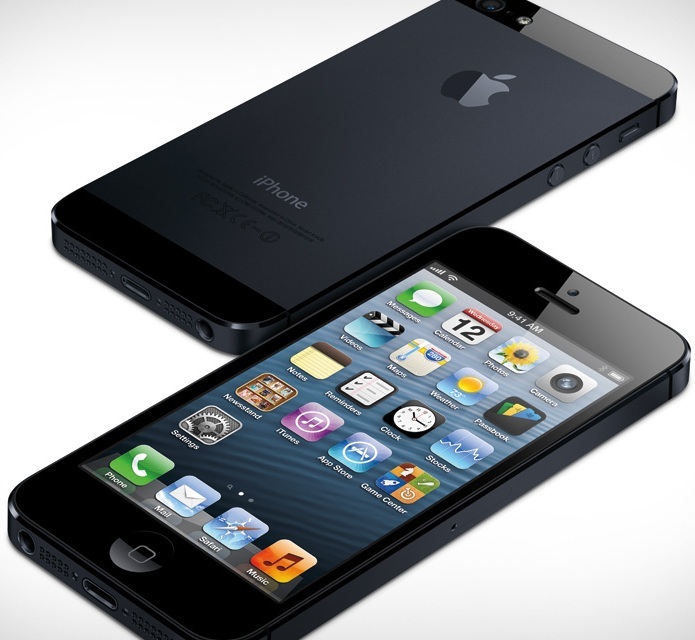 iPhone 5 will be available from September 21 2012 in major countries and by year end every where and has a price tag of 199 USD (16 GB of memory), 299 USD (32 GB of memory) and 399 USD (64 GB of memory) with a two-year contract on major US Carriers. The price tag for unlocked version(i.e without carrier support) are 16 GB for $649 USD, 32 GB for $749 USD and 64 GB for $849 USD. Tags:Apple iPhone 5, Apple iPhone 5 features, Apple iPhone 5 specifications, Apple iPhone 5 review, Apple iPhone 5 details, Apple iPhone 5 availability, Apple iPhone 5 specs, Apple iPhone 5 images, Apple iPhone 5 pics, Apple iPhone 5 pictures, Apple iPhone 5 price.